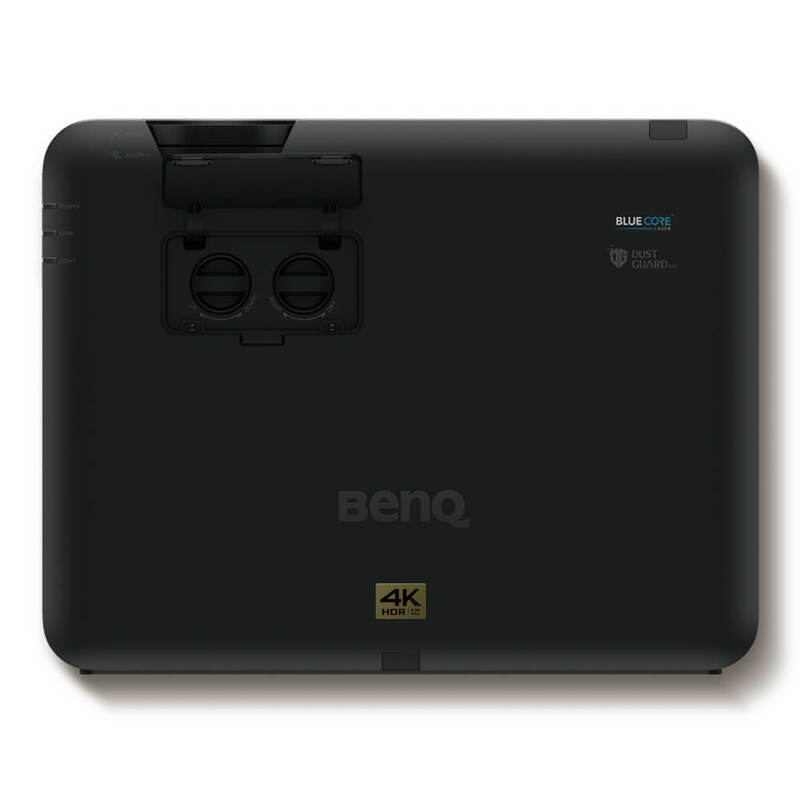 The BenQ LK953ST is a dedicated short throw projector with a 0.81 - 0.88 :1 lens, Vertical/Horizontal Lens Shift, 4K UHD upscaling resolution (3840 x 2160 pixels on screen) and a laser light source for peace of mind presenting up to 20,000 hours of use. Dedicated short throw projector, the BenQ LK953ST features a 0.81-0.88:1 lens with horizontal and vertical lens shift for precise, simple and quick image placement when installing. 4K UHD resolution via upscaling technology, the LK953ST is capable of reproducing 3840 x 2160 pixels on screen, ideal if you require finite detail on screen such as CAD images. 5000 lumens and a 100000:1 contrast ratio provides bright, crisp images whilst the laser light source means you can say goodbye to costly lamp replacements and hello to up to 20,000 hour of usage. Price Vs Spec the Benq LK953ST is unbeatable and our projector of choice for short throw laser light source projection with 4K UHD resolution. 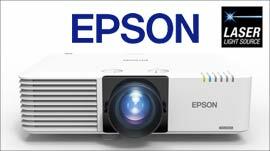 Ultra-Accurate 4K HDR BlueCore Laser Projection for Superb Image Clarity in Corporate Settings. With the capability of generating intense BlueCore laser-powered brightness for 20,000 hours of maintenance-free operation, BenQ LK953ST harnesses the enduring DLP picture quality and razor-sharp 4K resolution to deliver impactful visual communication. With HDMI out for multiple screen applications and versatile installation flexibility empowered by the horizontal and vertical lens shift features, LK953ST is tailored towards the diverse range of application scenarios in simulated exhibitions in museums or simulation trainings. By leveraging the innovative HDR technology and industry-leading BlueCore laser light source, LK953ST facilitates impactful and impressive visual display in museums or corporate environments , allowing museums or corporations to flawlessly present their exhibitions and training contents. 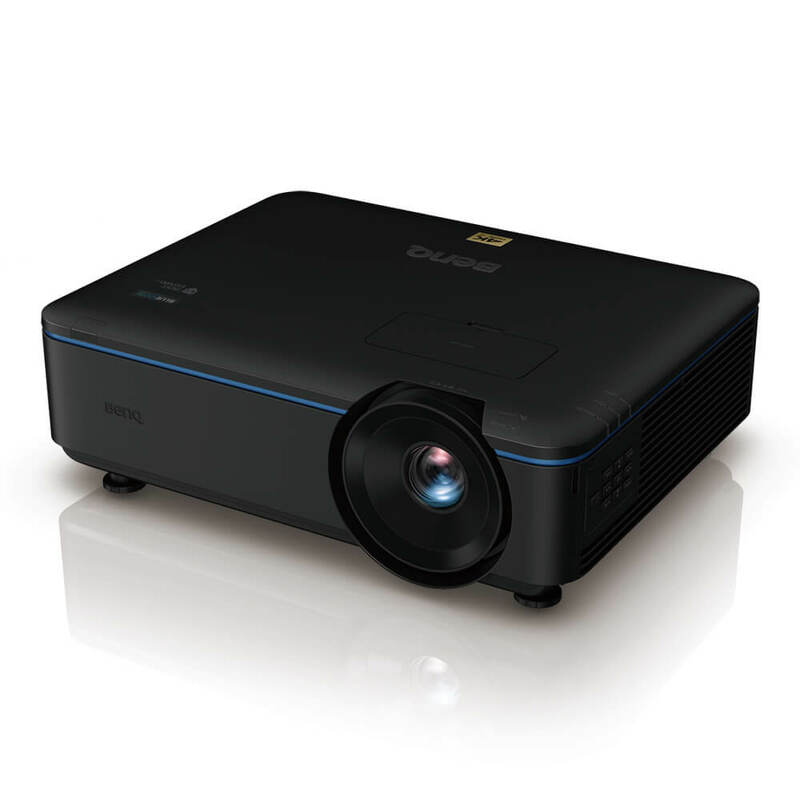 The world’s No.1 DLP brand BenQ expands its full line of innovative BlueCore laser projectors with LK953ST, for fixed lens installation, enabling powerful visual communication in corporate meetings and public venues. LK953ST produces 4K UHD 3840 x 2160 resolution with 8.3 million distinct pixels for each frame to achieve CTA’s standard, and it utilizes the revolutionary 0.47” single-DMD DLP technology to maximize the projector’s sleek, compact profile for museums or other venues for simulated trainings. With four times the resolution of Full HD 1080p, 4K UHD delivers awe-inspiring clarity and crisply defined details. 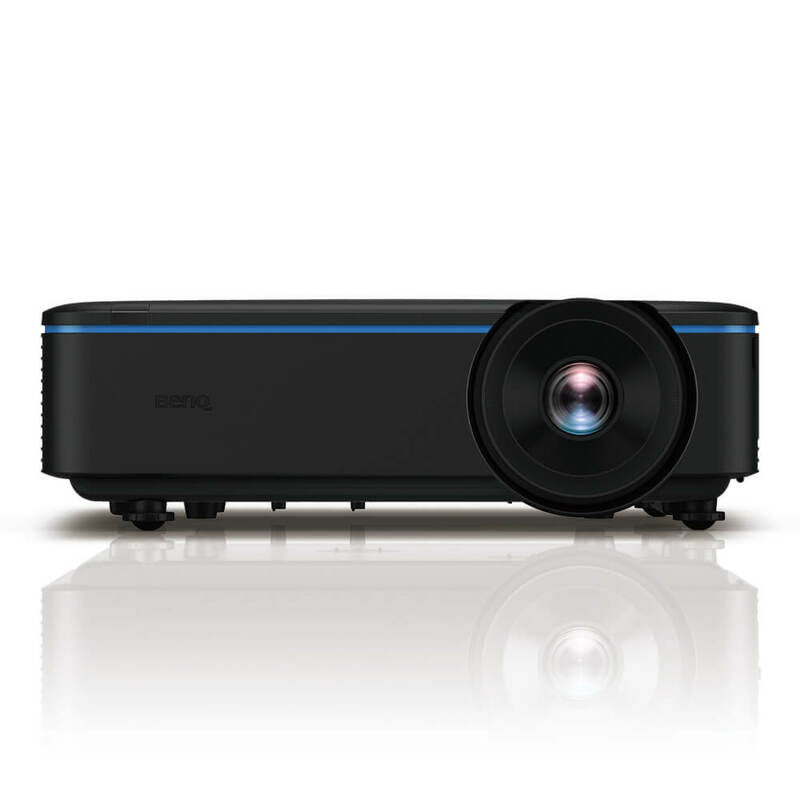 To avoid inherent alignment issues of multiple panels , which can be more serious when projecting 4K content, BenQ LK953ST 4K Laser Projector preserves color and image integrity with the single DMD DLP technology. Generating razor-sharp images and pure colors, LK953ST eliminates problems such as blurriness, shadowing, and interference patterns for immaculate clarity. Supercharged by HDR10 support with BenQ’s exclusive Auto HDR Color Rendition, LK953ST’s high Dynamic Range performance offers greater brightness, contrast range, and image optimization in a single step, bringing out every detail in 4K content for superior video display. To ensure the best image quality, BenQ LK953ST adopts the cutting-edge 4K Image Amplifying Technology to further enhance the quality of projected images. LK953ST automatically upgrades the resolution of all projected images to 4K, guaranteeing superb image details. Additionally, LK953ST also comes with Pixel Enhancer 4K, a motion-adaptive edge enhancement feature that detects changes in the color between an object and its background to produce sharp edges and precise surface textures. LK953ST’s 5000lm high brightness produces wondrous displays in bright, compact exhibition spaces with superb image quality. LK953ST laser projector creates strikingly clear images with stratospherically high 100,000:1 native contrast ratio for true deep blacks, vivid rich colors and fine subtle details. LK953ST also features spontaneous response, requiring no wait to turn on or resume from blanking in true black for flexible performance capability. In exhibition spaces and public venues, multiple projected screens can capture the audience’s imagination with immersive viewing experiences. Two projectors can also be stacked to double the brightness for a single image. Conventional projectors provide an analog-signal VGA output, which can decay due to transmission distance. BenQ LK953ST delivers a perfect digital signal via HDMI output directly from projector to projector or other display devices with no signal degradation for intensely bright stacked projection and beautifully mirrored multiple displays in showrooms, professional exhibits, and trade shows. Producing larger-than-life images in tight spaces with a 0.8 short-throw ratio, LK953ST eliminates distracting shadows and glare for viewers to focus on the projected content while enjoying immersive viewing experiences during simulated trainings. BenQ's LK953ST’s can be tilted vertically at any angle, allowing projection onto ceilings, walls, floors, or angled signage to fulfill any projection demand. LK953ST’s wide zoom range and horizontal/vertical lens shift systems can perfectly align images in any challenging venue such as when lights or vents are located at the ceiling mount site. Lens shift can move projected images up and down by 60% of screen height or left and right by 23% of screen width. The 1.1X big zoom feature offers a wide range of throw distances to significantly increase installation flexibility for diverse mounting options in various public display scenarios. LK953ST is designed with grips on its bottom surface to easily and safely transport the projector during installation or moving from one venue to another. BenQ LK953ST laser projector is designed with sealed laser modules and enclosed light engines to protect the DMD chip, color wheel sensor, laser light source, and other optical components. It effectively eliminates color wheel sensor failure, visible spots on the image and color decay to significantly reduce service costs and downtime. The design has passed the dust chamber test standard for the international dustproof rating of IP5X. By incorporating an ingenious anti-dust buildup feature in the color wheel sensor, BenQ LK953ST prolongs optimal performance by repelling dust that can accumulate on traditional sensors to block the IR signal and cause flickering, abnormal colors, or even shutdown. Equipped with an integrated air pressure sensor, LK953ST’s intelligent High Altitude Mode automatically alerts users to enable efficient cooling and properly maintain operating temperatures in high altitude environments with thinner atmospheres. LK953ST is widely compatible with leading projector control systems including Extron, Crestron, AMX and PJ-Link for network control via LAN, making it simple to integrate into corporate network infrastructures. When there is no LAN infrastructure, LK953ST also supports RS-232 for reliable long-distance installations up to 15 meters. BenQ's Multiple Display Administrator (MDA) software provides powerful centralised multi-projector management, including automated opening and closing procedures for public spaces, remotely controlled power on and off, and scheduling for institutions and corporations. We understand that product specification and selection is only part of creating a successful audio visual solution. Our professional installation services ensure you get the best out of your investment for years to come. We can help you save a huge amount of time and money in the initial solution design process and also deliver the right equipment to deliver productive meetings for every attendee. Our experienced sales specialists can help specify the perfect products based on the meeting room space itself and, more importantly, how the technology will integrate to the rest of the business. We are dedicated to removing delayed-meeting headaches and over-complicated control systems. In most cases, we can help you define the requirement and come up with a suitable list of products without coming to site. However, or more complex requirements such as larger rooms, awkward spaces or a diverse array of input devices or presenters – we’re more than happy to come to site and discuss the options with you. Our aim is to remove the stress of a new AV install by delivering the correct product specification installed to the highest technical and aesthetic standards. We’re focused on designing and installing audio visual solutions that are reliable, easy to use for everyone across your business and cost-effective.